Her plans to spend the weekend with family and a good book fly out the camper window when Meg has to step in as a backup bridesmaid at her cousin’s wedding. Meg Park’s happy to be on the bride’s team, but groomsman Gage seems to think she needs him as her constant companion. He’s tall, funny, and has a knack for breaking things. Worse, he’s Texan. But Meg’s sure Gage is hiding something. He doesn’t open up, even after he stumbles upon her own secret. Meg needs to to fess up. And she needs to find out the truth about Gage, so one of the things Gage breaks isn’t her heart. 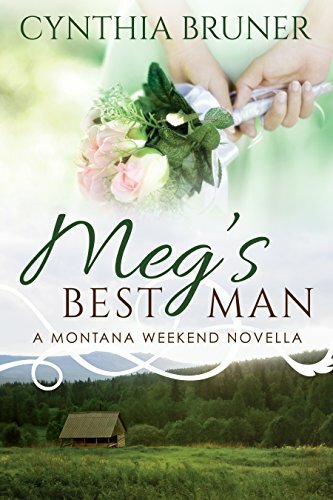 Meg’s Best Man is book one in the Montana Weekend Novella series. If you love clean, inspirational romance, buy it now to start reading.